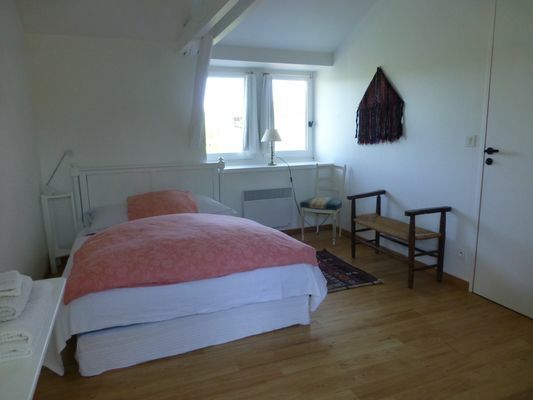 Guest room for 2 persons (double bed) with private sanitary facilities (separate wc). 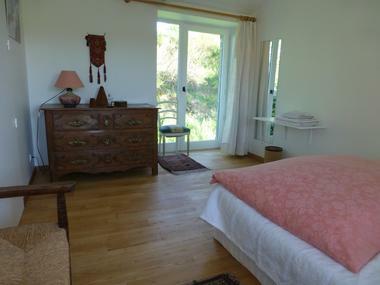 A family suite for one or two more people can be arranged by making an extra room with double bed available. 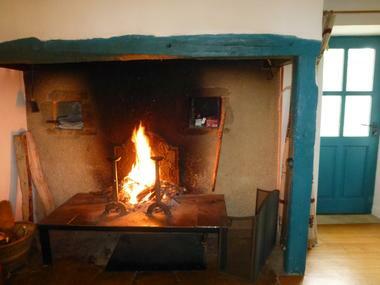 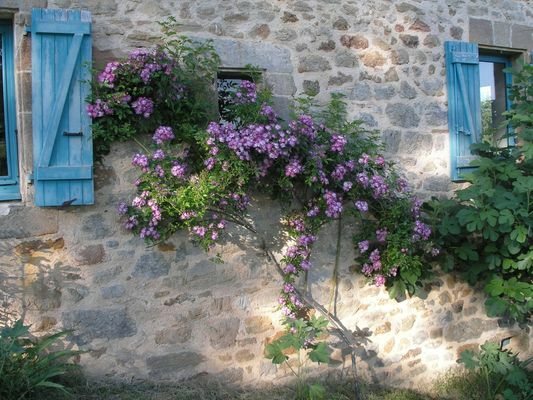 This restored former farmhouse is located in the countryside near Figeac (2.5 kms from the town centre) on the heights amongst fields and woods. 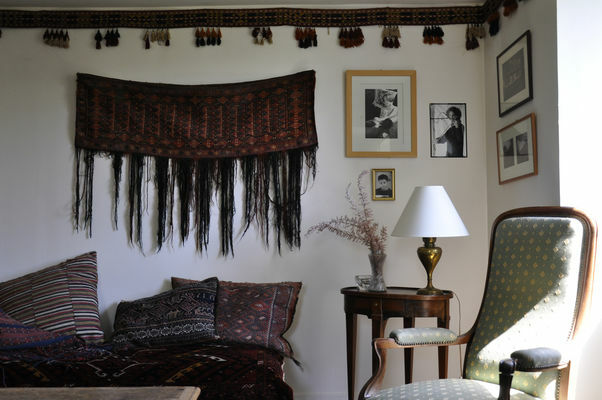 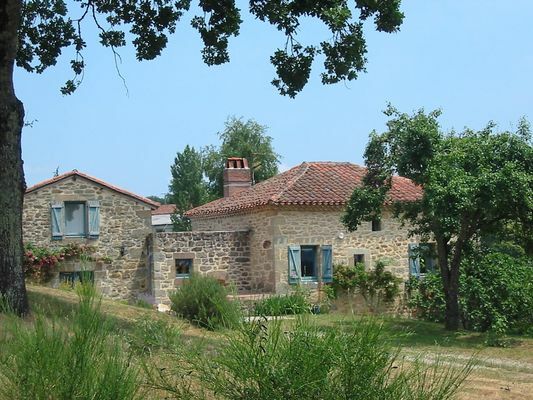 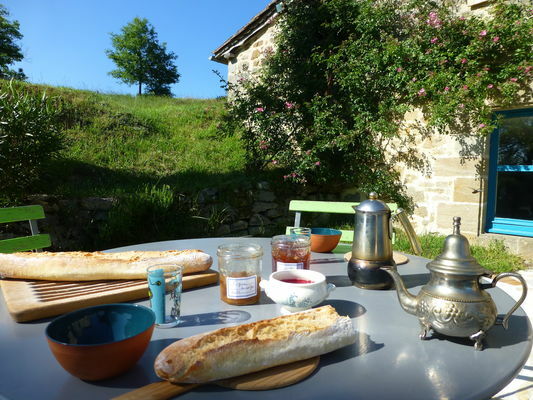 It's the perfect place for a quiet holiday - you can relax and read on the chaises longues overlooking the hills. 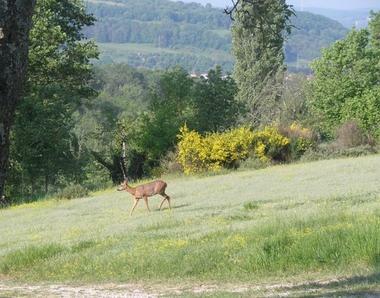 Maybe a roe deer will cross the meadow right in front of you ! The guest room is on the 1st floor, and is lit by two windows. Breakfast is served on the terrace or beside the large fireplace. You can also settle down in the library which gives on to the garden.